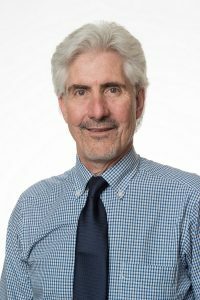 US veterinarian Professor Michael (Mike) Lappin has been elected as the Chair of the World Small Animal Veterinary Association’s (WSAVA’s) One Health Committee (OHC). The OHC works to ensure the prominence of the small companion animal–human interface in the global One Health agenda. Mike Lappin is the Kenneth W Smith Professor and directs the Center for Companion Animal Studies in the Department of Clinical Sciences at Colorado State University in the USA. He takes over from UK veterinarian Emeritus Professor Michael Day who is taking up new responsibilities with the WSAVA, having recently been elected to its Executive Board. Hosting two major symposia: one with the OIE in 2013 at which the global target for rabies elimination (2030) was set and another with the Centers for Disease Control and Prevention (CDC) in 2016 on One Health aspects of obesity in people and their pets. The WSAVA aims to advance the health and welfare of companion animals worldwide through creating an educated, committed and collaborative global community of veterinary peers. It currently represents more than 200,000 veterinarians through 105 member associations.